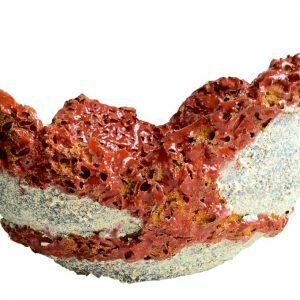 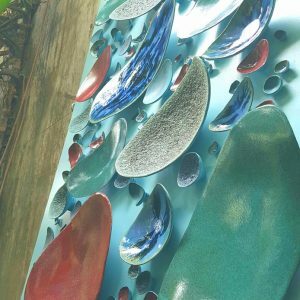 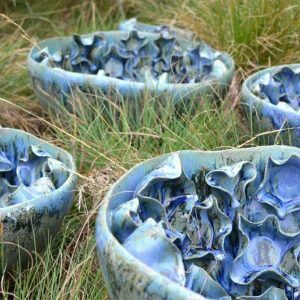 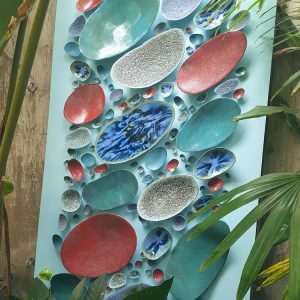 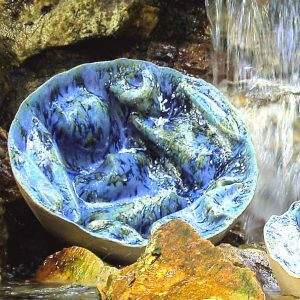 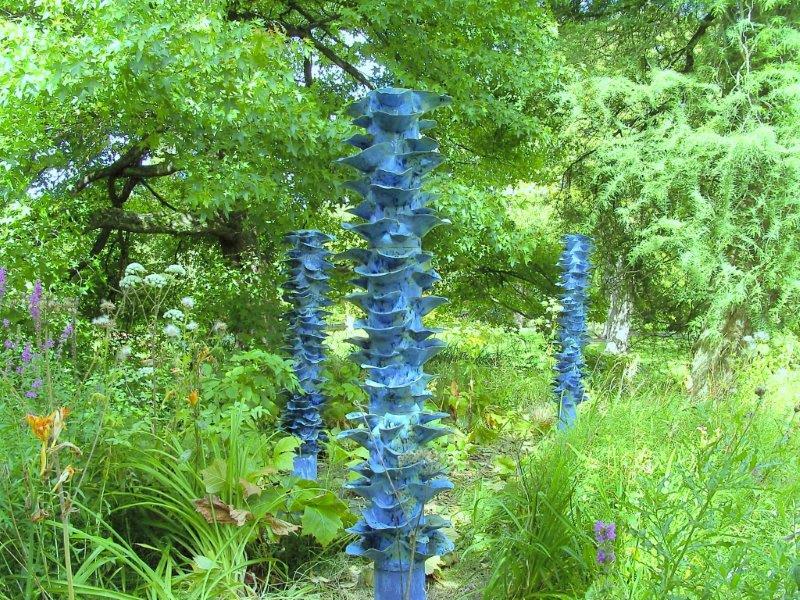 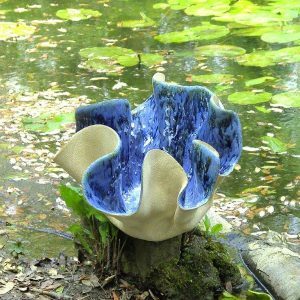 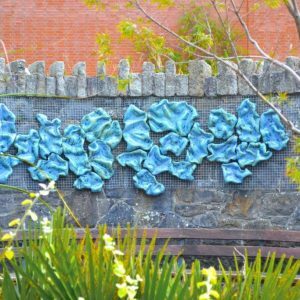 Inspired by fungi and coral forms, Fusion is an outdoor ceramic sculpture that has appeared at multiple exhibitions throughout Ireland. 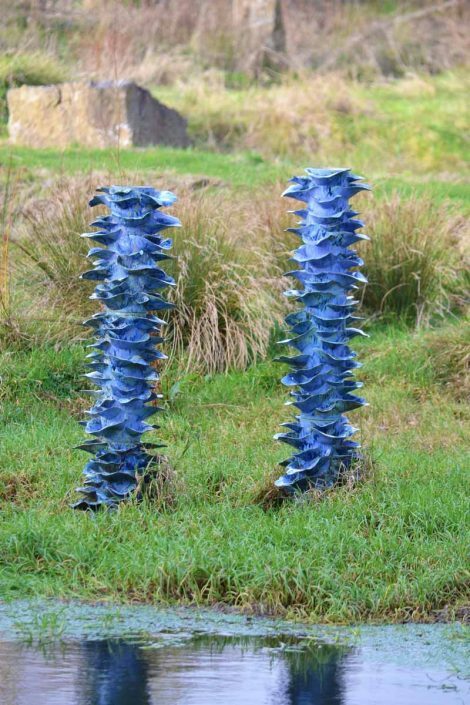 Each column consists of layer upon layer of individually sculpted and modelled clay brackets. 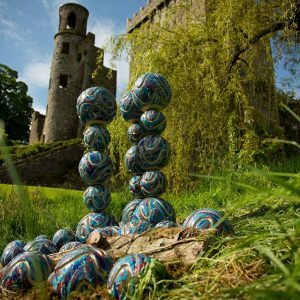 Sculpture at the Castle 2017, Blarney Castle and Garden, Co. Cork (May-Oct 2017). 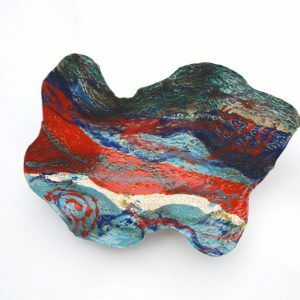 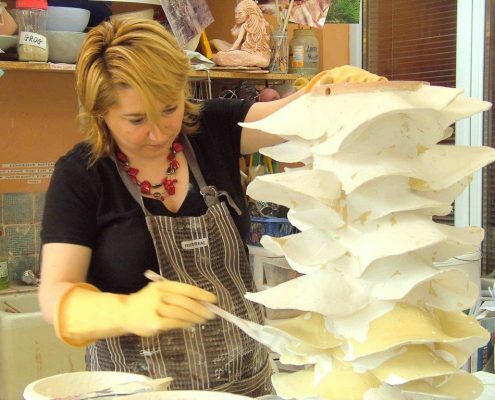 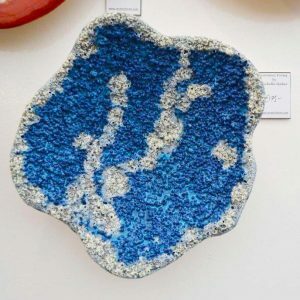 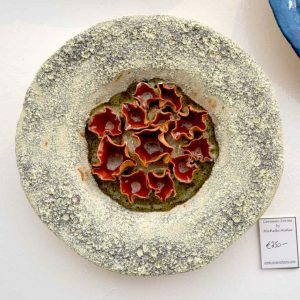 Ceramics Ireland 2012 – annual group show at The Cowshed, Farmleigh House, Dublin. Contemporary Sculpture in Irish Gardens 2011, Ballintubbert Garden, Co. Kildare. 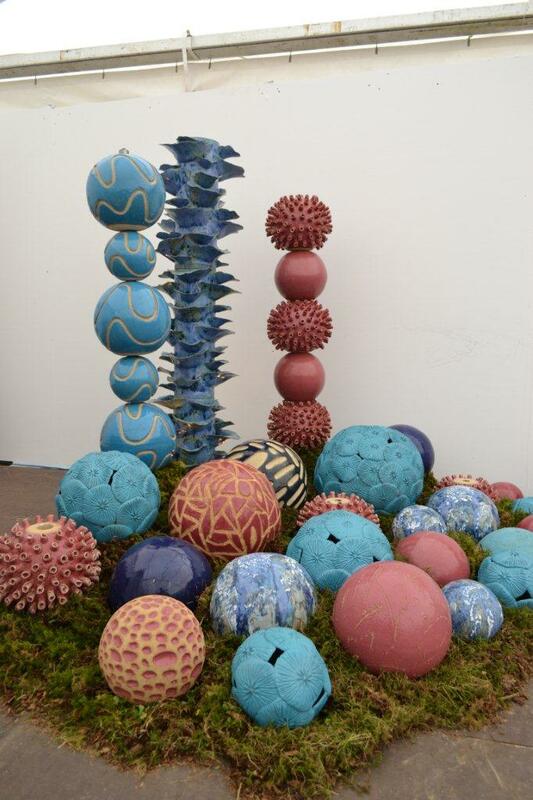 The Irish Craft Garden at Bloom 2011, Phoenix Park, Dublin. 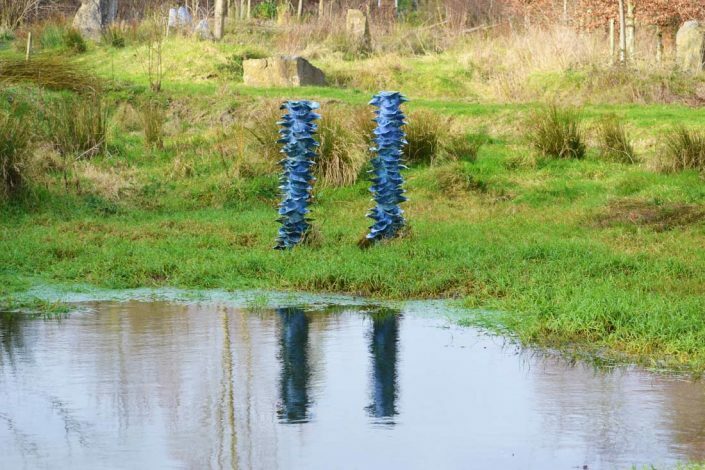 Sculpture in Context 2010 at The National Botanic Garden, Dublin. 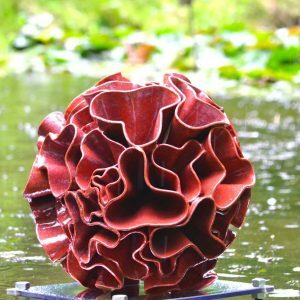 Dimensions: 1.5m high x 0.45m diameter (each piece). 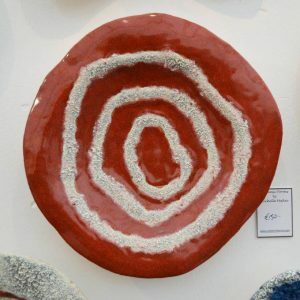 Price: €6,000 (3 pieces or €2,000 each). 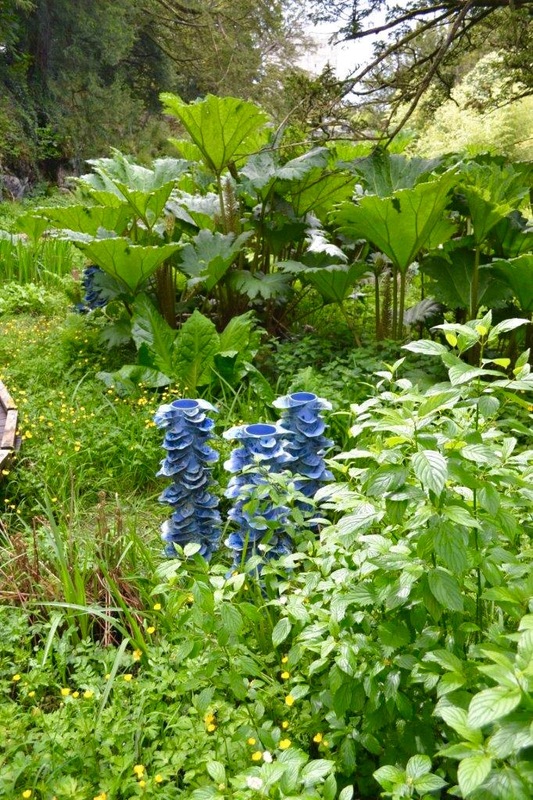 In the same way, many would regard Fungi as a plant. 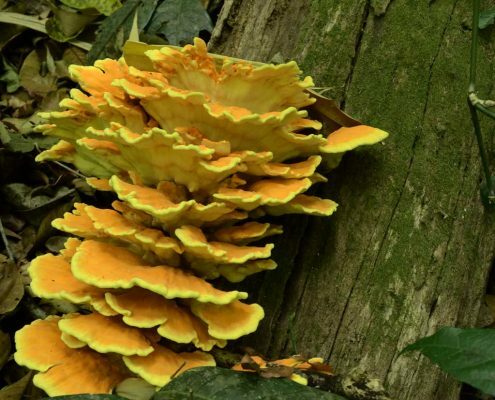 But Fungi is so strange an organism it merits a kingdom all of its own and is considered neither plant nor animal, but poses traits of both. 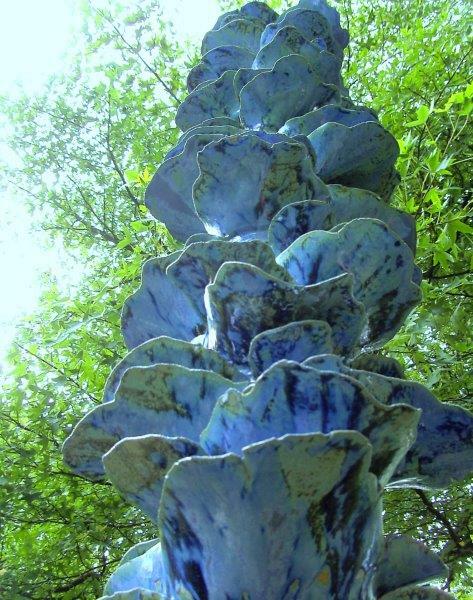 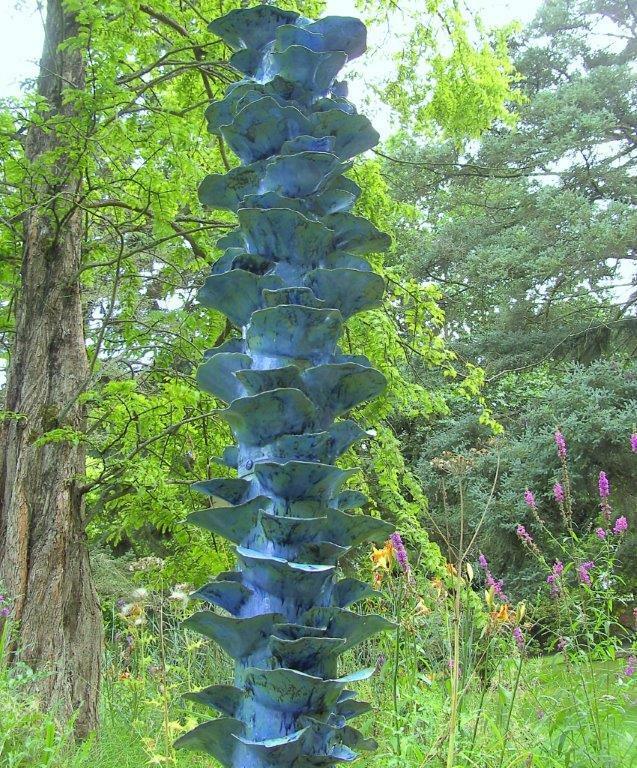 Fusion is a large-scale outdoor ceramic sculpture. 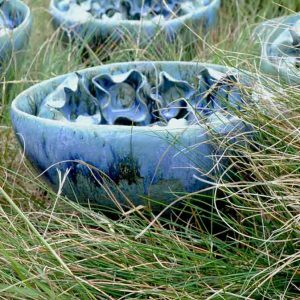 It was hand-built in a highly-grogged stoneware clay body and were high-fired in an electric kiln to 1260°C (Cone 8). 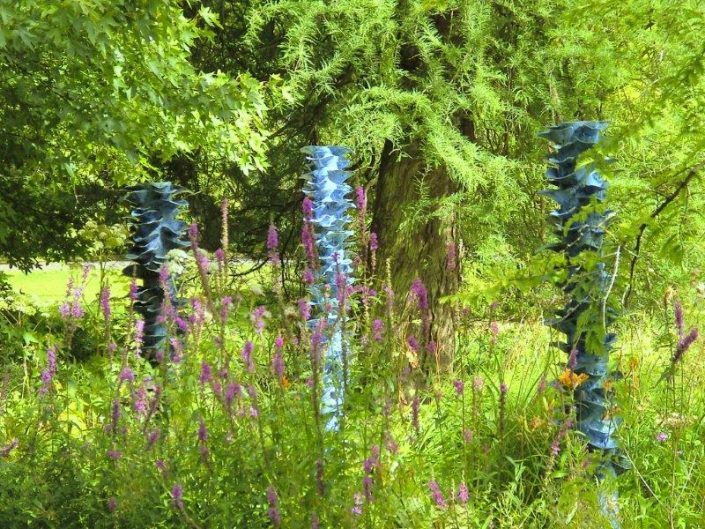 Each column consists of layer upon layer of individually sculpted and modelled clay brackets; there are approximately 500 brackets in total across the three sculptures. 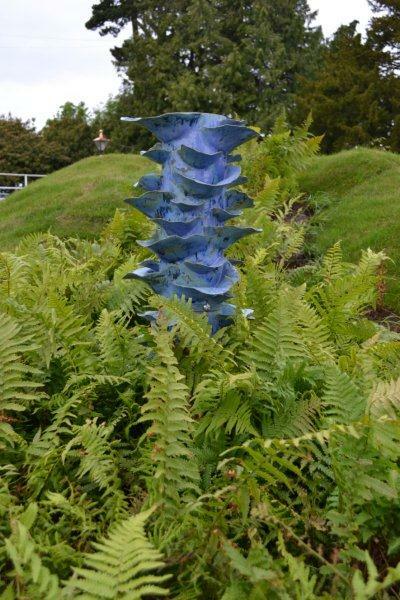 My aim was for a very natural, organic form that melts into the landscape. 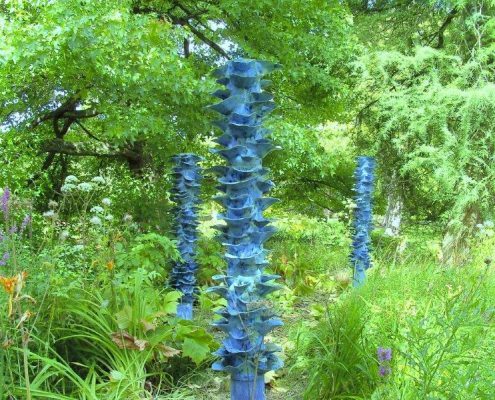 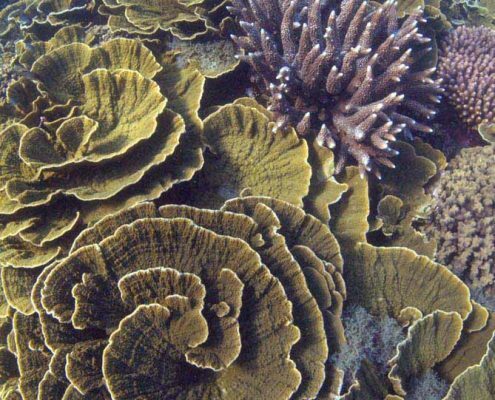 Hence, there is a fusion of Coral and Fungi but also of the sculpture into its environment. 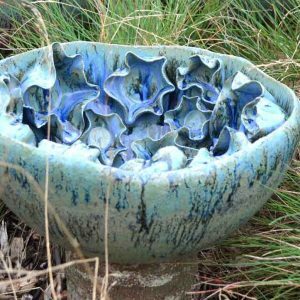 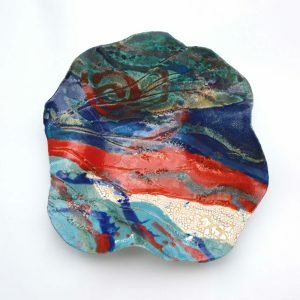 The blue-green glaze is one I developed about 10 years ago, it combines multiple layers of glazes which at stoneware temperatures melt and ‘flux’ to create a stunning ceramic surface. 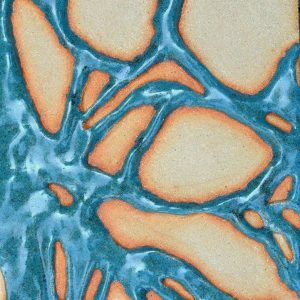 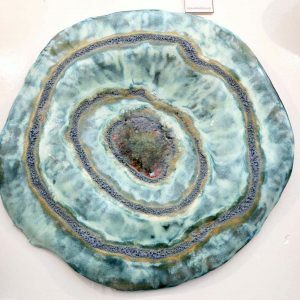 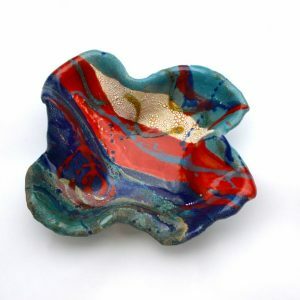 This reactive glaze responds to the bracketed surface of the clay – making each piece completely unique.